Labour is promising to reposition Birmingham as “Britain’s enterprise capital” with new economic growth zones creating jobs in high-end manufacturing, as well as the digital and medical sectors, if the party takes control of the city council in May. Group leader Sir Albert Bore said his priority would be to increase employment, improve the city’s skills base and reduce poverty across all communities. He promised a programme of “fairness, prosperity and accountability”, and vowed that the council would have to drop it’s “we know best” attitude in favour of working in partnership with the private and voluntary sectors, as well as Birmingham’s universities. In the first part of a two-stage manifesto launch based on the findings of a Jobs and Prosperity Commission set up by the Birmingham Labour Party, Sir Albert announced a plan to redevelop the vacant former Alstom/LDV site at Washwood Heath, creating 6,000 jobs connected with advanced motor manufacturing. However, the launch raised a number of questions about the extent to which Sir Albert, who is also running for selection as Labour’s candidate for elected mayor of Birmingham, had sought the involvement of his party rivals in drawing up the manifesto. If, as expected, Labour takes control after the elections on May 3, Sir Albert will be council leader at least until November when an election for mayor will be held – assuming that Birmingham votes in favour of having a mayor in a referendum. Were Sir Albert to become mayor, power would transfer seamlessly. But the two other Labour contenders for the party’s mayoral ticket, Gisela Stuart MP and Sion Simon, would effectively inherit six months of Sir Albert’s policy making if either became mayor. Sir Albert said that Birmingham Labour MPs had been closely involved with drawing up the council election manifesto, in particular Liam Byrne (Hodge Hill) and Jack Dromey (Erdington). He made no mention of Mrs Stuart (Edgbaston) or Mr Simon. The Chamberlain Files has learnt that Mr Simon was not involved in helping to compile Sir Albert’s manifesto and had not been presented with a copy at the time of the launch. Sources close to his campaign said the former MP would present his own distinctive mayoral manifesto if selected as Labour’s candidate for Birmingham. Mr Simon launched 10 mayoral policy proposals last week, including a pledge to create 30,000 new jobs in Birmingham alongside 20,000 affordable new homes. He is also proposing to invest £100 million in small and medium sized businesses. 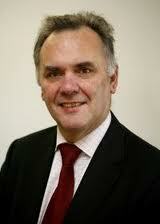 Pressed further on the issue, Sir Albert said: “The elected mayor will have to work with 119 city councillors. It would be rather foolish for anyone finding themselves in that position to do anything other than work with the councillors. Labour’s proposal to redevelop the Alstom/LDV site rests on the council being able to convince the Government to find an alternative location for an HS2 high speed rail marshalling yard which has been earmarked for the land. Sir Albert confirmed that talks are underway between Labour and the HS2 company, as well as with prospective private sector developers who he said would be ready to start work on the site by Spring 2013, if planning permission had been granted. He added that the marshalling yard would only create 300 jobs, and a search had begun for an alternative site either in Birmingham or the West Midlands. Labour is proposing a “radical localism agenda”, which would see city councillors on Birmingham’s 10 Constituency Committees delivering a far wider range of local services than is currently the case. A new devolved Local Services Directorate would run housing management, youth services, community and play services, community libraries, community safety, neighbourhood offices, sports services, refuse collection, street cleansing, highways services and environmental wardens. Constituency Committee chairmen would join the council executive with the right to attend cabinet meetings. An annual constituency convention of community groups and other stakeholders is planned to agree local priorities. Four economic growth zones are proposed, including the Alstom/LDV site. A digital district around Digbeth to support young entrepreneurs in the knowledge, creative and design industries, taking advantage of the next generation of 4G broadband opportunities. A life sciences and medical technology campus around the QE Hospital and Birmingham University, to provide Birmingham with an international centre for transitional medicine. Women’s enterprise hubs, helping “women who have an appetite for acquiring skills but have few employment opportunities. Labour is also proposing to set up a one-stop shop to help finance SMEs built on the existing city council equity loan funds. Sir Albert said he would seek to lead an all-party delegation to Downing Street in an appeal for a fairer financial deal for Birmingham. The council had lost the equivalent of £164 in grant money for every person as a result of the coalition government’s “unfair” funding formula. His administration would drop the “council knows best” approach in favour of “more joined up government”, working closely with the private sector, universities and other public bodies. LiamI am very concerned on your arlicte supporting the merits of an elected mayor. In my view this americanisation of local politics i.e. elected mayors, elected police chief constables etc is a retrograde step and does not improve local accountability but in fact reduces it.For many years Birmingham has been governed by elected officers who form the Birmingham Council and the leader of the party with the majority becomes the city leader. This leader has been accountable to his party councillors and his party councillors and those of the opposition have been accountable to the electorate i.e. the people of Birmingham.One of my fears is that an elected mayor nominee may be parachuted in in by the current government or by the opposition including Labour which I, as a Labour supporter, would abhor. What would happen if the political allegiance of this elected mayor was not that of the majority party? Who would he be accountable to? Could he be removed as the current leader can be? What would the Reduced role of councillors be, or will he bring in unelected officers as London?I find your comments about the mayor selling Birmingham industry, commerce, travel etc derogative to the current tory leader who with his cabinet already does this. I also find your lack of selling Birmingham to Land Rover Jaguar to get the new engine factory for the old Wolseley Drews Lane site very disappointing.I do not like the current Birmingham leadership, but come May 2012 we, the electorate will change that, as we can every year at the May elections. That is accountability not an elected mayor who you are saddled with for his term of office.This election proposal is deeply flawed, undemocratic and a waste of a considerable amount of money which Birmingham cannot afford to pay.